Beard trimmers play a critical role in meeting the grooming needs of men all over the world. This has increased the demand for beard trimmers in the global market. No wonder we have an uncountable number of beard trimmer models in the global market. It makes it very hard for a person to determine a single brand for the best beard trimmer. There are several things to put into consideration while looking for the best hair trimmer. However, the most important factor is the length and type of hair. Some beard trimmers cannot stand long, thick or slippery beards. You also need to confirm whether the trimmer is cordless or corded for purposes of efficiency. Another factor to consider is the battery life as you don’t want any disappointments when in the middle of shaving. 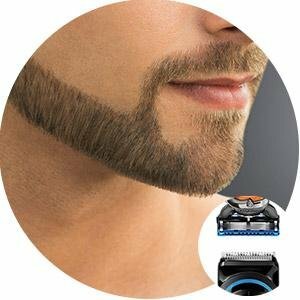 We also provide a detailed beard trimmer reviews of all these products while taking into consideration the features, advantages, and disadvantages of each. 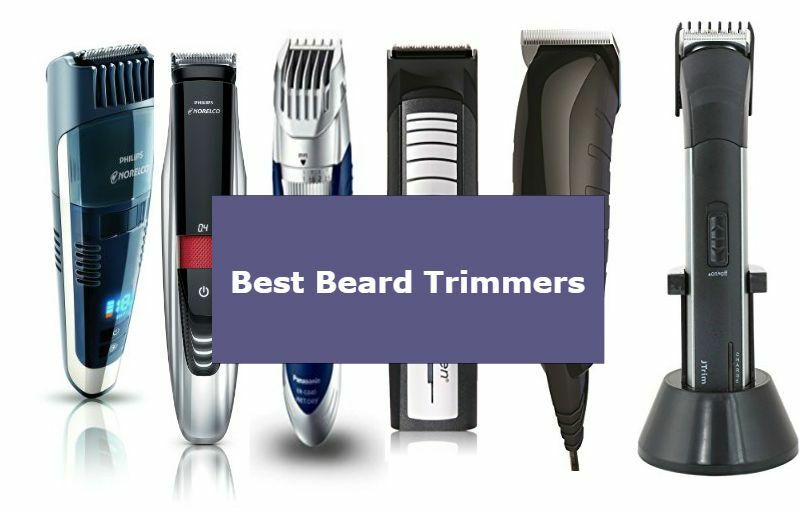 The below are the top 12 professional beard trimmers chosen on the basis of the factors above. Philips Norelco Beard Trimmer is one of the beard best trimmers that have an integrated vacuum system. The primary function of the integrated vacuum system in this beard trimmer is to capture cut hairs to avoid mess trimming. The vacuum captures the trimmed hair inside the handle of the trimmer as you continue shaving. The trimmer allows you to say bye to hair covered sinks which leave you with a clean sink and great look. philips norelco beard trimmer comes with eighteen secured length settings that run from 1/32 inch to 23/32 inches or 1mm up to 18mm. 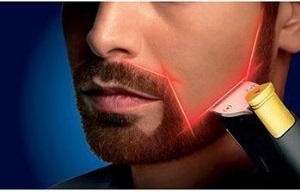 The beard trimmer also has a stubble setting of 1/2mm or 1/64 inch. It makes use of the Turbo power boost button to enhance the fan and cutting speed. Another advantage of this high-performance trimmer is that it comes with stay-sharp blades that are maintenance free and requires no oiling. The trimmer has an adjustable comb alongside the expedient stubble setting. You will get a two-year warranty once you purchase a new set of this device. The trimmer draws its power from a lithium-ion battery and has a travel lock that promotes ease portability. This long-lasting device product is ideal for anyone who is looking for a mess-free trimming. The trimmer has eighteen inbuilt length settings for easy operation. The rechargeable battery can provide you with 35 minutes of cordless trimming by making use of the 10 hours charge. The Philips Norelco Multigroom 3100 comes with a full size trimmer, detail trimmer, nose trimmer, beard and mustache comb and hair comb. Yo can use the full size trimmer without a comb to complete your beard style and get clean, sharp lines around the edges of your beard. Helps to remove unwanted nose and ear hair, easily and comfortably. Conair Lithium Ion is one among the top beard trimmers that comes with an advanced blade that ensures a smooth and effortless cut. The high-power motor in this beard trimmer ensures an ultra-powerful cutting action. The lithium-ion technology supports the reliable cordless use of this gadget. Charging the trimmer for two hours will give you a run time of 80 minutes. Alternatively, you could charge the trimmer for 30 minutes if you want it to take you for 20 minutes. The trimmer supports both cord and cordless operations for enhanced convenience. The beard trimmer will assure you of a clean and smooth cut. The blades have an electro-chemical precision with an ultra-sharp cutting angle that will allow smooth and effortless cutting. The Lithium-ion technology that is featured in this trimmer enhances the power run time and reliable cordless use. You can handle it with a lot of ease as it is a lightweight device and the cordless feature enhances control and convenience. 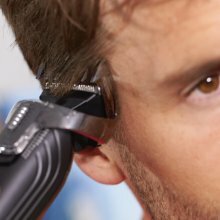 Additionally, Conair Lithium Ion comes with five interchangeable head attachments that deliver grooming and trimming for professional results. 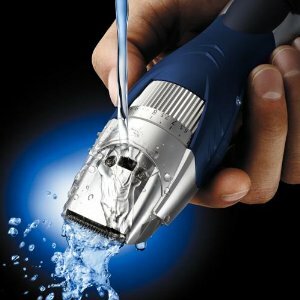 This trimmer has self-sharpening stainless steel blades to manage all the facial trimming needs and has a long-lasting lithium power backing that is consistent. 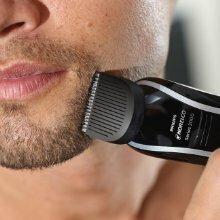 Remington beard trimmer can guarantee you high-performance cordless trimming for the runtime duration. In fact, even a five-minute quick charge will save your time in a pinch by providing sufficient power for one full shave. The Turbo mode power boost will cut through the thickness of your hair and enable you to get your desired style with a lot of precision and speed. It has a cordless runtime of 3 hours which can guarantee you several months of powerful trimming before you re-charge. The trimmer also comes with an adjustable comb that offers ultimate versatility through the ten lock-in trimming. You can easily navigate each area of your neck and face courtesy of the extended neck. The device is 100 percent waterproof which means you can use it in the shower if that is your lifestyle. Additionally, you can clean this gadget in a very easy manner. 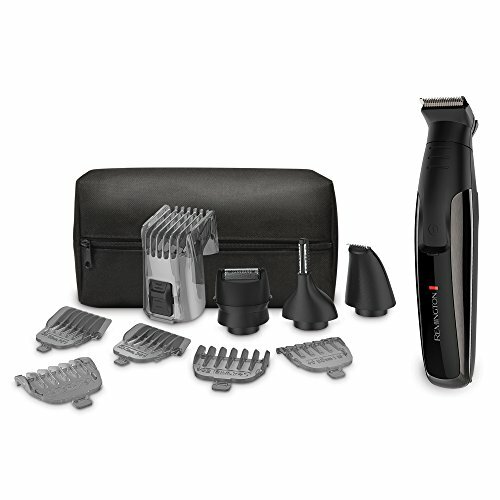 Its package also includes a travel/storage pouch, an adjustable comb, 5 combs, eyebrow, nose, and ear trimmers, detail foil shaver, detail trimmer and the full-sized trimmer. 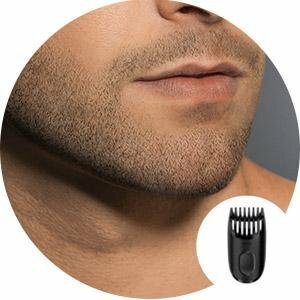 Remington does not provide you a trimmer but a best beard trimming kit for men's beard grooming. The 11-piece styling and detailing kit will allow you to trim your beard, mustache and goatee just to name a few giving you the look you want. 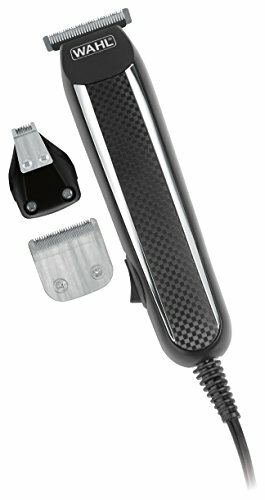 Wahl power pro is the best corded beard trimmer option for anyone who is looking for heavy duty hair detailer, trimmer and clipper. It operates on corded full power and has 17 trimming lengths. Its precision stainless steel blades will always stay sharp for a long period. Wahl trimmer can only be used in the US electrical outlets and not internationally. The product presents an all-in-one power clipper that will meet all your grooming needs. The kit comes with 8 clipper guide combs that range from 1/8 inches to 1 inches, full, stubble, medium, 6-position guide, 3-beard guide combs, detail trimmer, trimmer blade, stainless steel clipper blade, and the corded unit. The kit also comes with an English and Spanish set of instructions, storage case, blade oil, cleaning brush, and beard comb. You can ship this product to select countries outside the United States. However, the product is manufactured according to the specifications of US electronics and you may need additional requirements to use it in other countries. Wahl power pro is one among the top rated beard trimmers and has everything that will give you the desired look. The blades are finely ground to deliver a superior performance. It has fine teeth that lead to very fine qua. 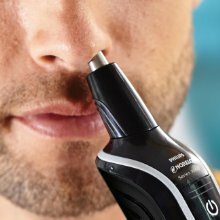 You can use the detail trimmer to clean the edges, ear, and nose hair and the full-size precision trimmer for your goatee, mustache and beards. This trimmer has 39 precision length settings that come in 0.5mm steps to deliver a precise cut irrespective of the type of your beards. 2 combs that range from 0.5 to 20mm offer flexibility and 100 percent control on your style. It comes with an ultimate precision with long lasting sharp blades. The lifetime lasting power for this trimmer is 60 minutes of precise trimming from a charging duration of 8 hours. You can fully clean this device under running water with a lot of ease. The Braun Beard Trimmer is an adjustable beard trimmer that will give you an even trim, precise contours and exact length which are fundamental to any great look. The 39-length setting that is provided by the two detachable trimming combs will enable you to maintain a full beard or trim edges and contours and achieve a designer stubble. Braun beard trimmert gives you ultimate precision and control alongside the precision dial that has 0.5mm steps. The product is suitable for contour edging, long beards and stubble and short beards. The LED charging indicator will inform you about the charging status to make sure that you don’t run out of power. The lifetime lasting sharp blades deliver high-performance precision that will allow you to achieve any style. Its ultra-sharp stainless steel blades can cut through any thick or long hair without any form of tugging or pulling. Two fixed combs in 1 and 2mm and the short beard comb (1-10mm) help to evenly trim stubble and short to medium beard for better control of your style. 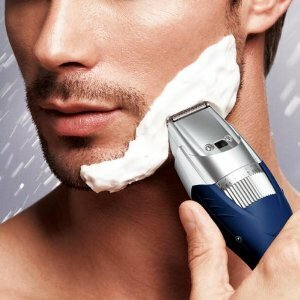 The trimmer has 45-degree angle stainless steel blades that create the optimal cutting edge for beard, mustache, efficient hair and quick trimming. This trimming machine is wet and dry washable which makes it easy to clean and maintain. 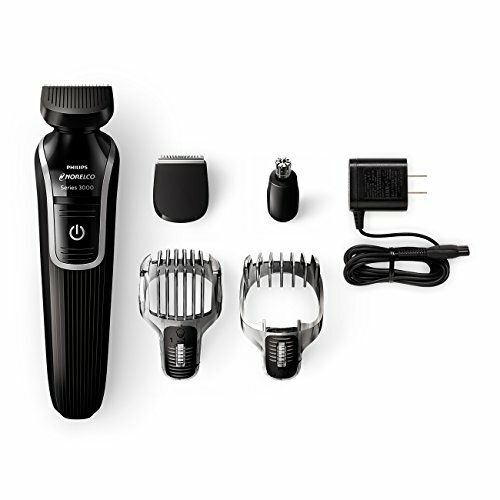 Panasonic ER-GB40-S is a best adjustable electric beard and hair trimmer provides nineteen precision setting for beard and hair trimming, detailing, cutting and sculpting. It has a masculine ergonomic design with a rubberized grip. You can plug it for longer use or use it cordless anywhere. It also includes an AC charging stand and an important electric trimmer cleaning brush for men, mustache and beard trimmer and the stand will fit into your travel bag with a lot of ease. Panasonic trimmer really eases home mustache and beard trimming. The adjustable dial that has 19,0.5mm setting eliminates the need for multiple clipper comb attachments and allows you to trim your hair to your desired length with a lot of ease. This trimmer is 100 percent rechargeable and washable. You can remove the comb attachment if you want a close trim on the arms, chest and other areas. The machine can trim both wet or dry and hence you can use it even in the shower. Just use the quick adjustable dial to change the length of your beard grooming. When you’re in a hurry, the ER-GB40-S waterproof beard trimmer delivers a quick, even dry trim over the sink or on-the-go. And, because this Panasonic trimmer is fully immersible in water, it also performs just as effectively when used in the shower. Clean up is quick and simple. One of Panasonic's best beard trimmer for men, the ER-GB40-S mens hair and beard trimmer trims either wet or dry for easy beard and mustache grooming at the sink or elsewhere when on-the-go. 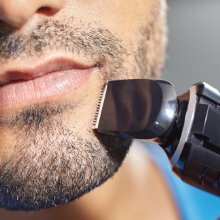 Turn the dial on the Panasonic Trimmer to easily adjust the beard clipper comb up and down with 19 settings from 1-10 millimeters. 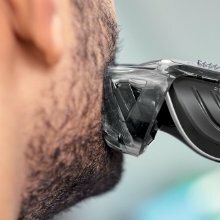 An easy-open water drain in the waterproof beard trimmer for men allows water to flow freely through the cordless hair clipper for quick, easy cleaning in seconds. 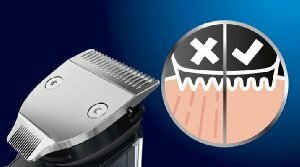 Each of the ultra-sharp, durable blades designed into the powerful ER-GB40-S trimming system are precision-honed to an acute 45 degree angle for quick and effective beard, hair and mustache maintenance. The JTrim is one of the top 10 best beard trimmers with an electric rechargeable stand for clipping the moustache and beard for men. The quality of this trimmer is very high as a result of its lack of vibration and ultra-quietness when in use and when charging. 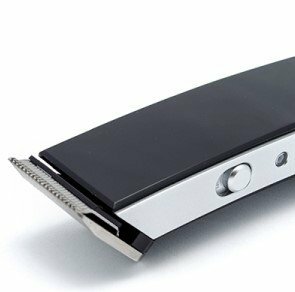 This trimmer is fully professional beard trimmer thus has durable blades made from stainless steel with a feature of fast-action blades and a precision-cut. This trimmer has six comb attachments for adjustment. 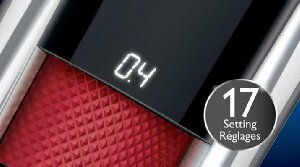 When you purchase this item, you will get a one year warranty and for using it requires you to charge it for nine hours to full charge. 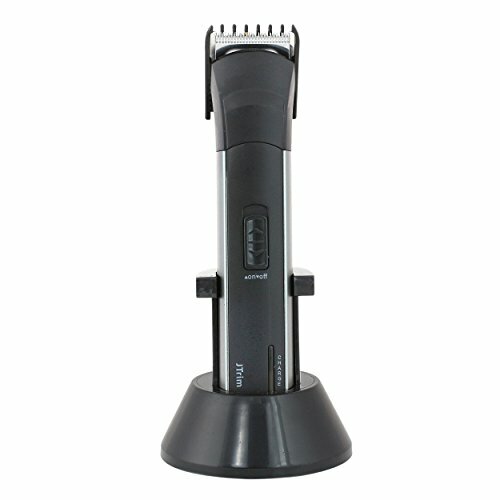 JTrim JPT-BT200 beard trimmer is always very comfortable and powerful when handling. With its price tag, it is a worthy purchase. The blades of the JTrim trimmer are high-performance blades which are hypoallergenic and requires no user adjustment. These features make it non-irritable to sensitive skin. It is cordless and cuts hair cleanly and smoothly hence delivering a perfect trim at desired hair length. You will get the hair cut of your desire when you use the Remington HC5850. The Remington HC5850 has the design of lasting a lifetime. This machine has an impactive poly-carbonate casing for protecting its powerful interior. It comes with a superior magnetic motor that drives maximum power into the precision ground blades. This power makes the blade to perform two times faster when compared with the older versions of Remington. The exclusive system of the power-cut blades ensures the blades have a proper alignment for smooth and even cuts at all times. Remington beard trimmer is another best corded beard trimmer for men that has a heavy-duty grip of rubber in an ergonomic shape for allowing a comfortable and natural grip while ensuring the hand is closer to the head for achieving total control. The poly-carbonate casing on this men's beard trimmer ensures that it gets a lifetime warranty for it is virtually indestructible. The design of this beard clipper avails an avenue for cleanliness, stylish and protective haircuts that ensure personalized hairstyles and keeping the trimmer on its peak performance. The kit of this trimmer has a beard brush, oil for its blades, length-adjusting combs, and a styling comb. It also comes with a soft storage pouch for keeping all things in a single spot. Remington HC5850 Virtually Indestructible Haircut Kit Clippers, eight combs, scissors, cleaning brush, oil bottle, cape, blade guard, durable storage case, and instruction manual. 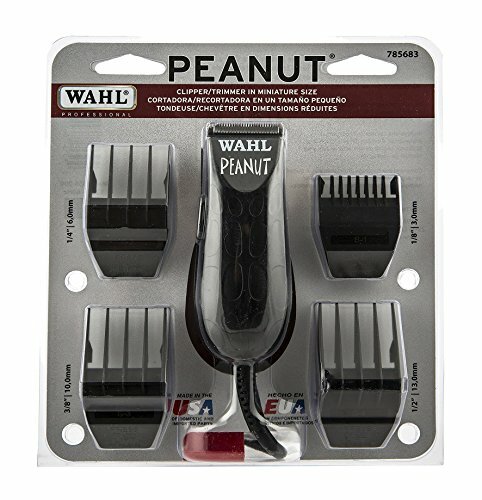 The wahl peanut trimmer is found on the wahl line of commercial grade products with an intention of professional use. It has a design of producing a sharp performance that experts demand. With its sleek design and compact size, this trendy trimmer offers an aesthetic that is appealing in addition to its top-notch function and precision. All the power found in this clipper is small enough to fit in your palm. Therefore, it doesn’t require an extra accessory to handle this clipper. For convenience purposes, this trimmer comes with all the required accessories for its function. The accessories include instructions, cleaning brush, oil, red blade guard and four attachment comb with cutting guides. This trimmer is four feet long and measures 4 oz. this product also comes with a seven-foot chemical resistant cord that is of the professional grade. The blades of this trimmer operate at 120 volts and 60 Hertz. When you purchase this product from an authorized dealer, you will get a warranty. Since its invention in the year 1919, the product has continued to sell at a reasonable price and to enhance the lives of its users. All products from wahl embrace the founder by being value-priced, reliable and able to provide protection solutions to the skin and all types of hair. When you want to experience the ultimate control of the most efficient beard trimmers, test the Philips Norelco. 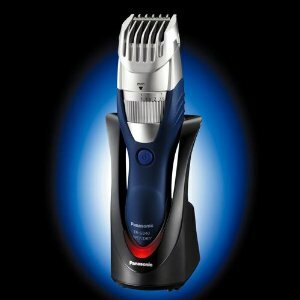 The beard trimmer 9100 has a built-in laser guide for allowing you to create the precise look of your choice. 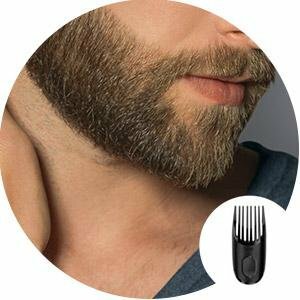 It features a seventeen-length precision setting for making the trimmer easy to attain the exact stubble and the length of the beard you desire. The zoom property in this trimmer helps in locking the different lengths in the settings. 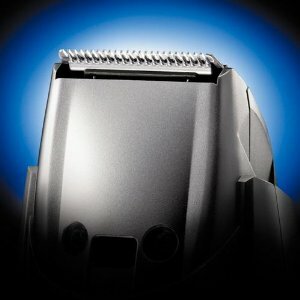 This trimmer, which is dual sided, has a wide end for providing perfect straight lines on the neck and sideburns. The narrow end serves the purpose of styling areas around the mouth, nose and other hard-to-reach areas. The battery in this trimmer can serve up to one hour when charged for about an hour. The blades are self-sharpening thus eliminating the worry of becoming blunt. They are washable and stainless for easy cleaning and care. 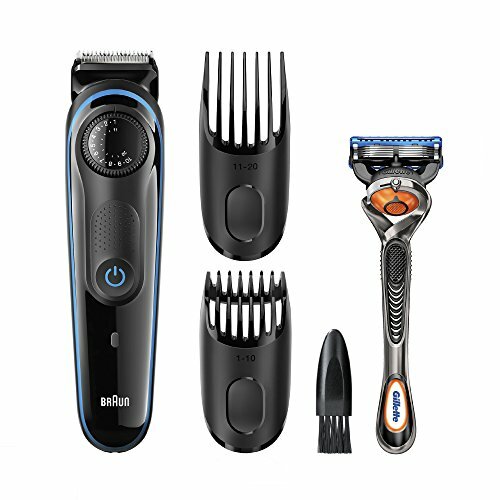 The Philips Norelco 9100 beard trimmer comes with a storage pouch, a beard comb and two combs for even trimming. The detailed comb is exclusive for great control. The blades of this trimmer are made from ground chromium steel that is maintenance free for neat and efficient cutting. The Beardtrimmer 9100 has a pop-up laser guide that projects a line directly on your face so you can properly align the trimmer before it touches any hair. This helps you create perfectly straight and symmetrical lines every time. And because the laser is Class 1, the light it emits is completely safe for the eyes. For neat, efficient cutting, the beard trimmer has self-sharpening blades made of finely ground chromium steel that require no oiling or maintenance. The blades' rounded tips and combs prevent skin irritation for more comfortable trimming. 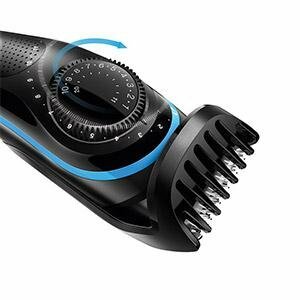 To get the results you want, this trimmer features a zoom wheel that automatically locks in one of 17 lengths between 1/64 to 9/32 inches (0.4 millimeters to 7 millimeters) with as little as 0.2 millimeters between length settings. During the olden days, people used to hide beard trimmers in drawers or place them on the counter of bath tabs hesitantly. The presentation of the TRYM II has brought this norm to an end. TYRM II is a rechargeable modern hair kit that looks sleek and great when in bathrooms. This model comes with a stronger battery and a sharper blade as compared to earlier models. Additionally, it has other attachments that come with it to ease its usage. This kit comes with cleaning oil and brush, AC adapter, a charging base TRYM and four trimming attachments. It has a clean apple-esque design that enhances its great look when in use. It has a standard power supply, which is UL listed with a warranty of one year. This product is perfect for daily grooming as its manufacture is from original and professional parts. Currently, it is the most reliable trimmer you can find on the market today. This trimmer feels good in the hand when compared to its price. It gives a perfect smooth shave to the beard, moustache and body. This north American kit does not snag or pull your hair as a result of the compounded metal blades that trim consequently. 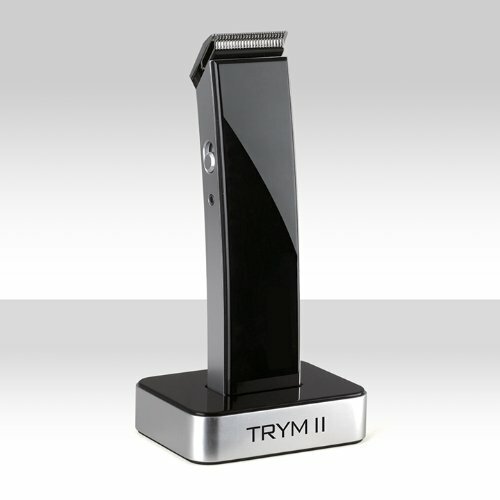 TRYM II includes 4 different trimming attachments (1.5mm, 3mm, 6mm, & 9mm in length) that make it easy to groom the hair on your face, head and body to perfection. 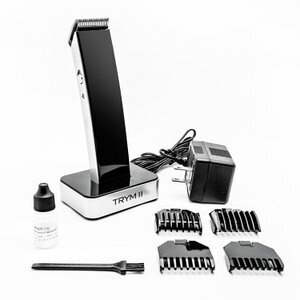 TRYM II ships in a retail-packed gift box that includes the TRYM II, 4 trimming attachments, cleaning brush, blade oil, charging base, & power adapter.